WE’RE TWO BEST FRIENDS who grew up eating in our uncle’s kitchen. Anthony’s Uncle Faris served us the best homemade food. 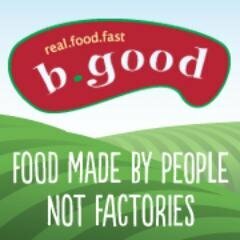 Fifteen years later, we started a business together around a simple idea – make fast-food “real” by making it the way it should be… by people not factories. See, we loved fast-food but hated how it made us feel. So, we created a place where you can feel good about the food you eat. When we were growing up, Uncle Faris would always leave us with pieces of advice – “take it easy”, “live life”, and most of all “be good”.